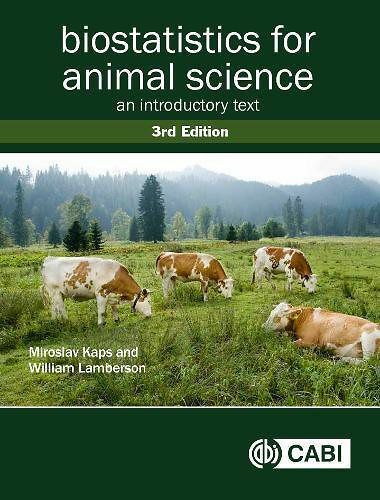 Designed to cover techniques for analysis of data in the animal sciences, this textbook provides an overview of the basic principles of statistics, enabling the subsequent applications to be carried out with familiarity and understanding, followed by more complex applications and detailed procedures commonly used in animal sciences. 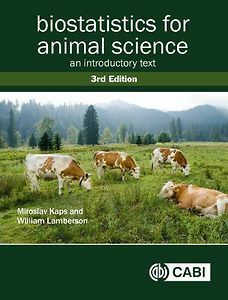 Each chapter begins by introducing a problem with practical questions, followed by a brief theoretical background, and is supplemented with an abundance of examples in SAS from animal sciences and related fields. * Contains exercises and many worked examples in SAS for practice and revision.